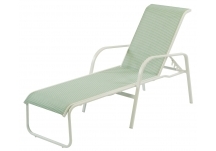 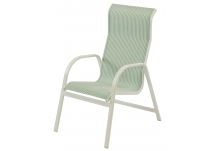 Fabric sling furniture like our Ocean Breeze Furniture is most commonly used as swimming pool furniture and for commercial applications, such as hotels and resorts. 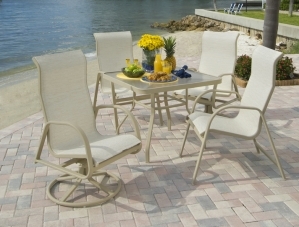 However, this sling furniture also work well on any patio, deck or porch. 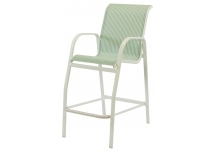 Featuring flat aluminum extrusion frames, the Ocean Breeze Collection uses durable outdoor fabric for strength and quality. 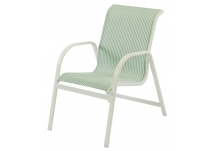 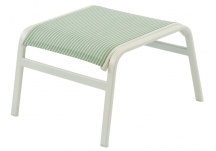 This sling furniture features a tough powder-coated finish to resist chipping and scratching. 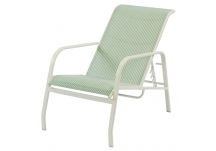 Choose from multiple frame finishes and strap colors to fully customize your look!